You may not realize it, but you need Paparazzi!, and yes, the exclamation point is part of the name. It is a small, simple utility that takes screenshots of Web pages. Now you might think you don’t need that, since you can press CMD-Shift-3 and take a picture of your entire screen, or CMD-Shift-4 and take a picture of a part of your screen. But Paparazzi! does more: it takes a picture of the entire Web page, including everything that doesn’t fit, no matter how long the page. An example: as of this writing, the opening page of the Journal section of the Pi Web site is quite long. If you printed it, you’d use up a lot of paper. But Paparazzi! captures it all in one file, a JPEG image 1024 pixels wide and 7,829 pixels long. Or capture the 25 Years of Pi section of the Web site, all 1024 pixels by 15,693 pixels. That’s over 18 feet of Pi events, extending back (according to the page) to 13.7 billion years BC. Five pages captured with Paparazzi! 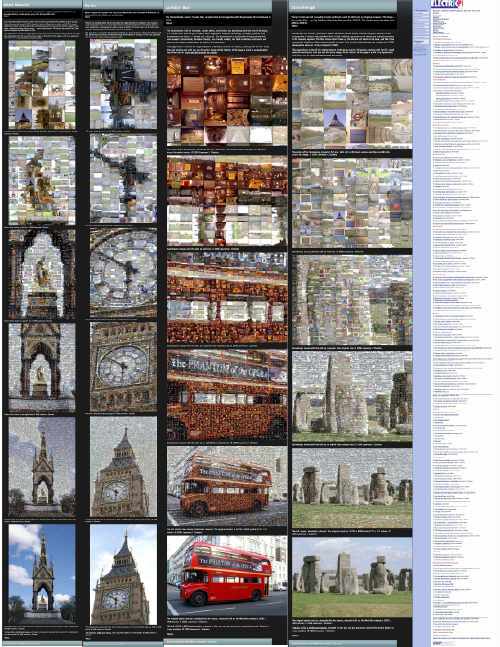 The first four - Albert Memorial, Big Ben, Routemaster and Stonehenge - are from http://nishiryu.googlepages.com, and are 60 to 80 inches long; the last one is from the Web site for Washington Apple Pi's events section, http://www.wap.org/events/chronology.html, and is 109 inches long. The interface is simple: type in a URL, press the Capture button and, once captured, press the Save Image button. 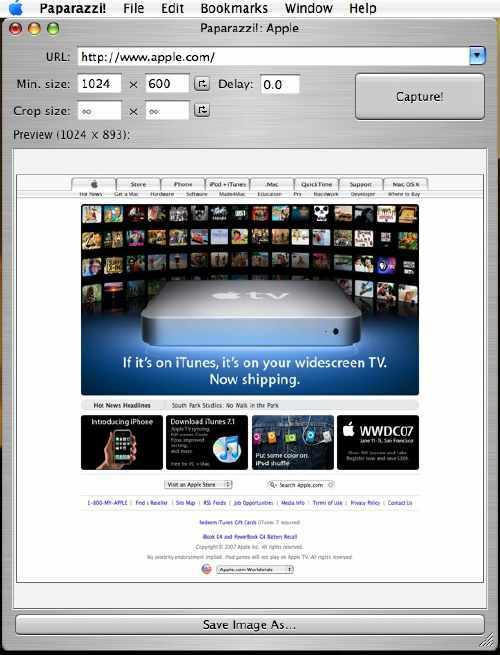 At the time of save, you can select to save the screenshot in JPEG, PNG, PDF or TIFF format, as well as adjust the quality of the screenshot and its size. Paparazzi! is also priced right: free.